Based on the award-winning novel by RJ Palacio is a film that’s guaranteed to melt even the coldest of hearts. Wonder tells the story of little Auggie Pullman (wonderfully played by 11 year old Jacob Trembley), a young boy who has a rare genetic condition that has left him severely facially disfigured. Auggie has spent the first years of life being home-schooled by his mother (Julia Roberts) and she now feels that the times right for him to go out into the world and get an education. Supported by his father (Owen Wilson) and older sister (Izabela Vidovic), Auggie discards the space helmet that he’s wore since he was young and heads for his first day at Beecher prep School. Heading into the school with the whispered message from his sister “You can’t blend in when you were born to stand out”, Auggie quickly makes new friends in Jack Will (Noah Jupe). However all of the pupils aren’t as friendly as Jack and his facial scars quickly bring him to the attention of the school bully (Bryce Gheisar). Meanwhile away from Beecher Prep Auggies sister finds that she too has become isolated as her once long-time friend Miranda (Danielle Rose Russell) blanks and turns to her new friends. 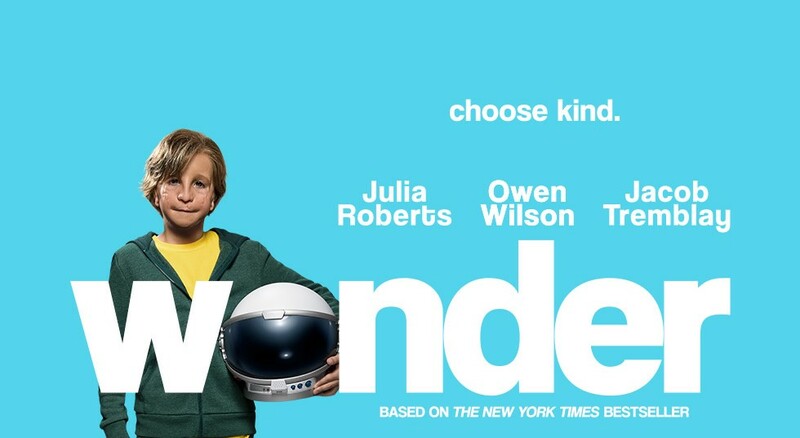 Wonder is engineered to tug at the heart strings and it does for its full two-hour running time. Tremblay is simply wonderful as Aggie, masked behind facial prosthetics he gives a performance that is nothing short of astonishing, Trembley narrowly missed out on an Oscar nomination for the 2015 film Room and you wouldn’t bet against him receiving the nod this time. Wonder is a moving and heartfelt story of how one young boys inner personality allows others to see beyond the facial scars and is not to be missed.